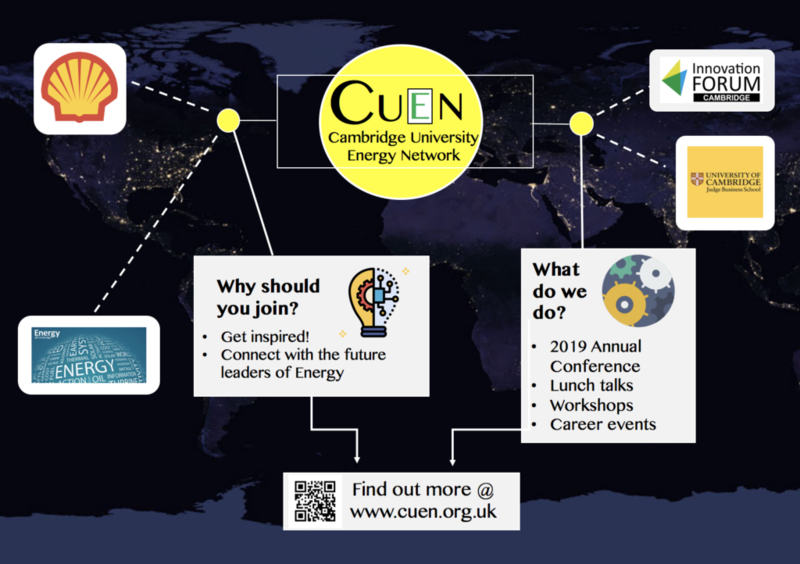 The Cambridge University Energy Network (CUEN) is a student-led special interest group for undergraduate and graduate students at the University of Cambridge. CUEN aims to cultivate a passion for energy through an annual conference in April 2019. Our members span many faculties including the Department of Engineering and the Judge Business School. We believe energy is fundamental to our quality of life and have many projects on our horizon that encourage hands-on learning and energy literacy. Come by and visit our booth at Freshers’ Week (October 2-3, 2018) to learn more about CUEN.